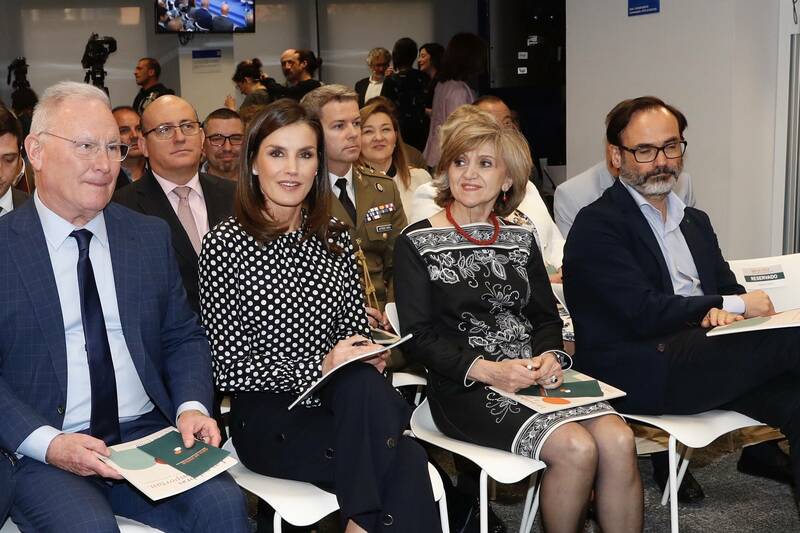 Queen Letizia of Spain presided over the conference on “Means of Communication and Mental Health”, organized by the Spanish Mental Health Confederation in collaboration with the Foundation of Spanish Urgent (Fundéu BBVA), takes place at the headquarters of the EFE Agency in Madrid. 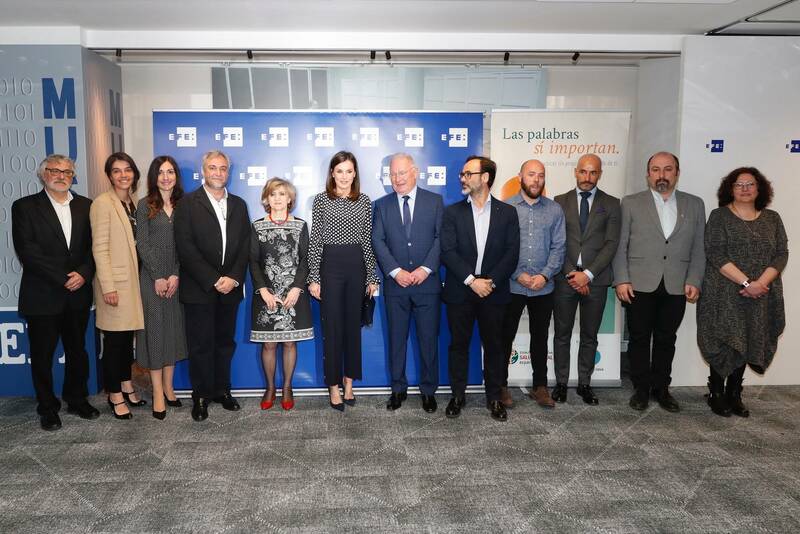 This event brings together journalists and communication professionals from different media and people with mental disorders, who share their views on the treatment of mental health in the media. 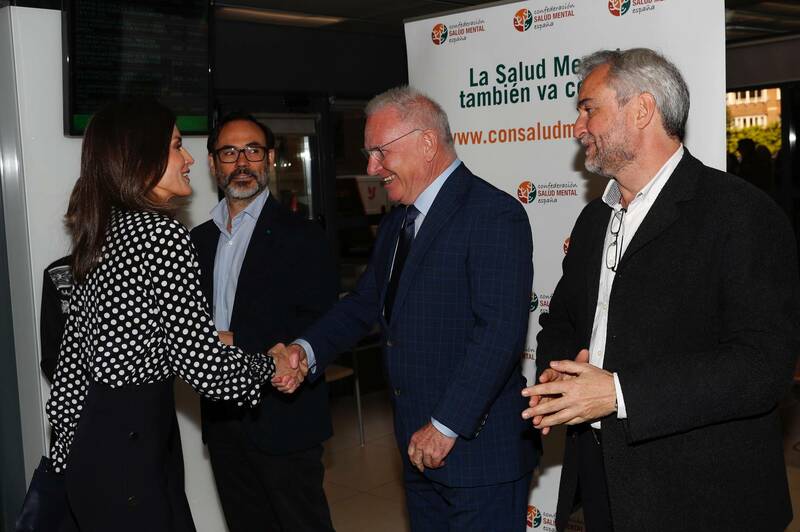 The Mental Health Confederation Spain is a non-profit, social interest and public interest entity that was established in 1983. 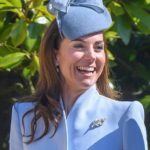 It is part of 19 uniprovincial federations and associations, which bring together more than 300 entities and has more than 47,000 members in all the national territory. 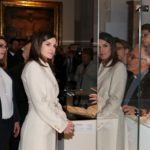 For the day, Queen Letizia was in a familiar look. 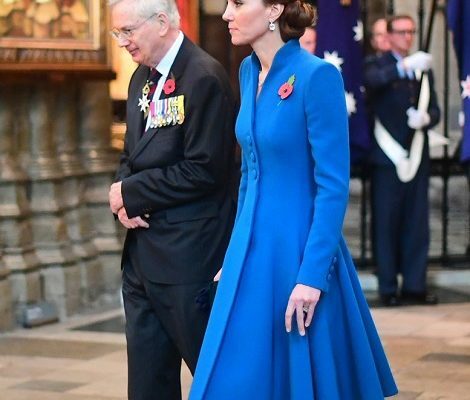 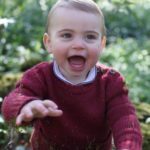 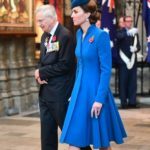 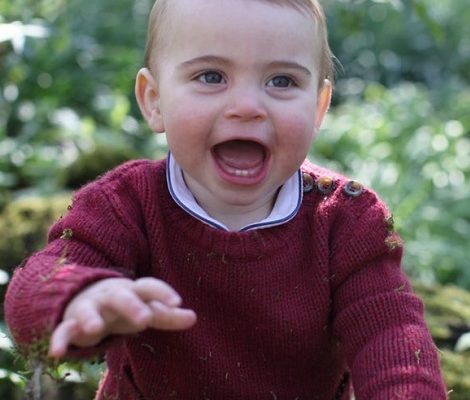 We saw this look in April 2018 at the Easter service. 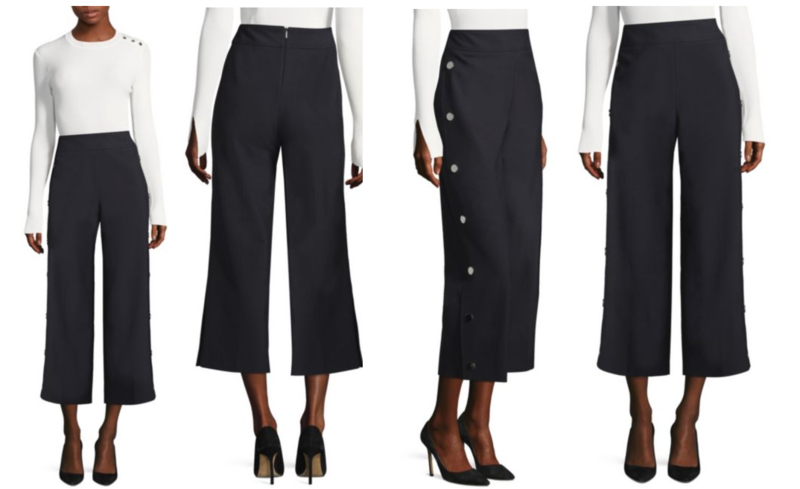 She was wearing Hugo Boss High-Waist Wide-Leg Pants debuted on Easter last year. 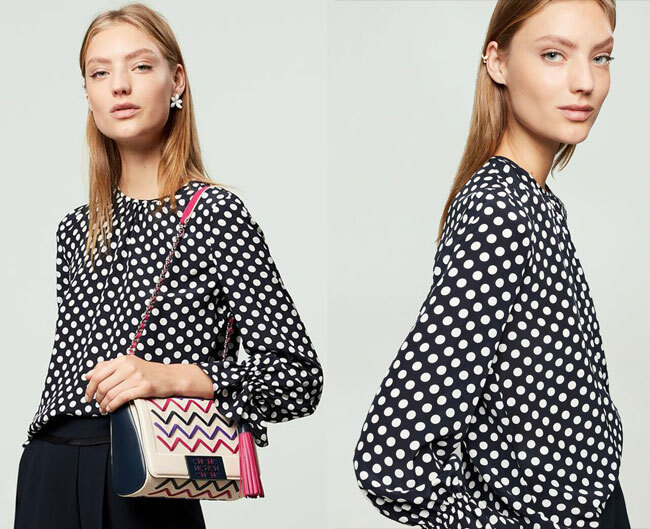 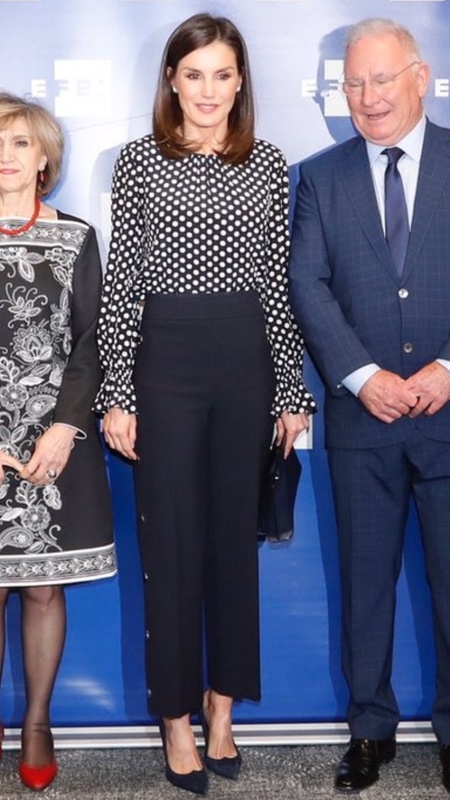 Letizia paired the pants with her Carolina Herrera polka dot silk blouse which she first wore for a visit to the post city of Málaga in February 2018. 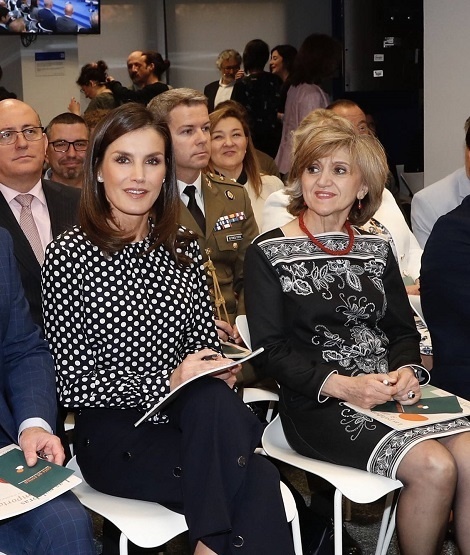 Letizia paired her outfit with Magrit Liza Pumps we first saw at the Military Easter in January 2019. 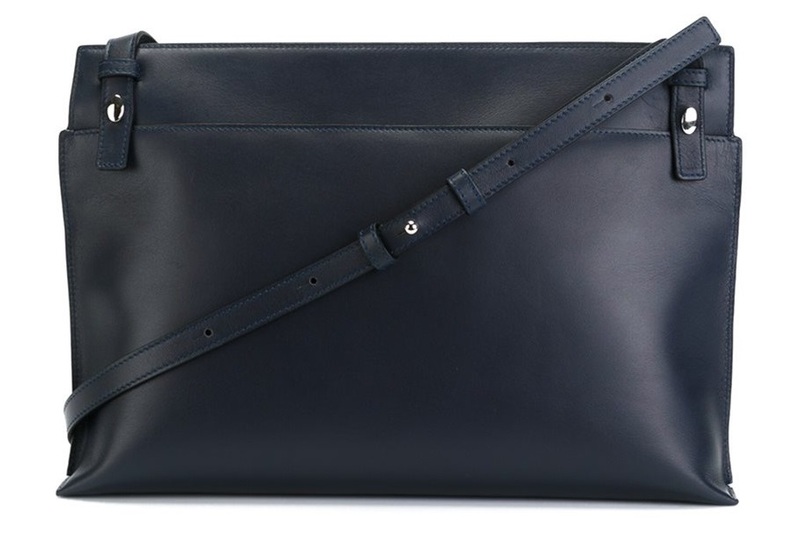 Queen was carrying herLoewe Large Double Pouch navy blue bag. 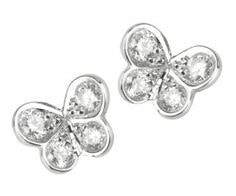 And finished her look with Elena Carrera white gold and diamond Mini Butterfly Earrings.